Voters on Tuesday chose Democrat Janet Mills to replace a term-limited Governor Paul LePage and gave her party control of both chambers. What a difference one election can make. Over the last four years, Republicans ruled Maine through control of its state Senate and governor, Paul LePage, who has described his style as “Trump before there was Trump.” Conflicts with the Democrat-controlled House and attorney general led to lawsuits flying nearly every month and, eventually, a government shutdown when there was no budget — all amid LePage’s stream of provocative name-calling that garnered national headlines. But on Tuesday, in the greatest shift in partisan makeup of a state government in the United States this year, voters chose Democrat Janet Mills to replace a term-limited LePage and gave her party control of both chambers. And LePage? He’ll be far away. He told reporters this week he plans to retire to Florida. Mills, who will be the first woman to serve as Maine’s governor, said during the campaign that any future battles will be in Washington, with the Trump administration, not back at home. Currently the state attorney general, Mills joined a national lawsuit against the Trump administration over immigration moves such as the travel ban, and she has also sued the administration over its effort to strip Katahdin Woods and Water of its designation as a national monument. 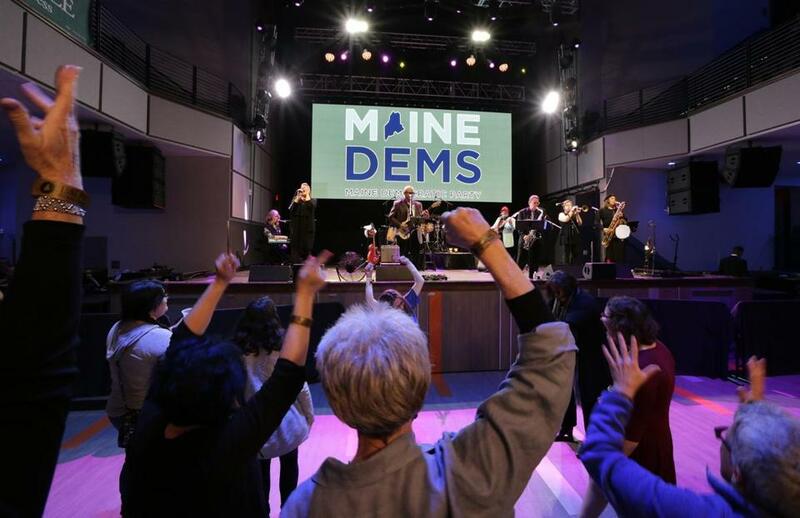 People danced at a Maine Democratic Party event on election night in Portland. But the biggest change Colby College political science professor Sandy Maisel sees coming next year is in the temperature of political rhetoric — both inside the State House and in political circles in general in Maine. Democrats could add to their haul with a victory in the Second Congressional District, where the race between GOP incumbent Bruce Poliquin and Democrat Jared Golden is so close that it may not be decided until next week. Like in many states, dislike of the Trump administration pushed Democratic turnout in Maine, although many state level candidates used LePage as a campaign foil. Democrats also had history on their side: no Maine governor has been succeeded by a member of the same party since 1954. Of course, with so much power comes great risk. John Baldacci, who served as governor in 2008 when Democrats last had complete control of the state, warned it won’t always be easy for Mills. Mills said other recently elected Democrats largely agree with Mills on improving health care and education, as well as addressing climate change and expanding access to broadband. “I don’t anticipate fights over the goals, but there could be some hang-ups on the details,” Mills said. Maine was one of 10 states with legislative bodies or governorships that will change party hands following Tuesday’s elections. In New York, the state Senate flipped to Democratic control, while Michigan, Nevada, Illinois, and New Mexico all replaced Republican governors with Democrats. 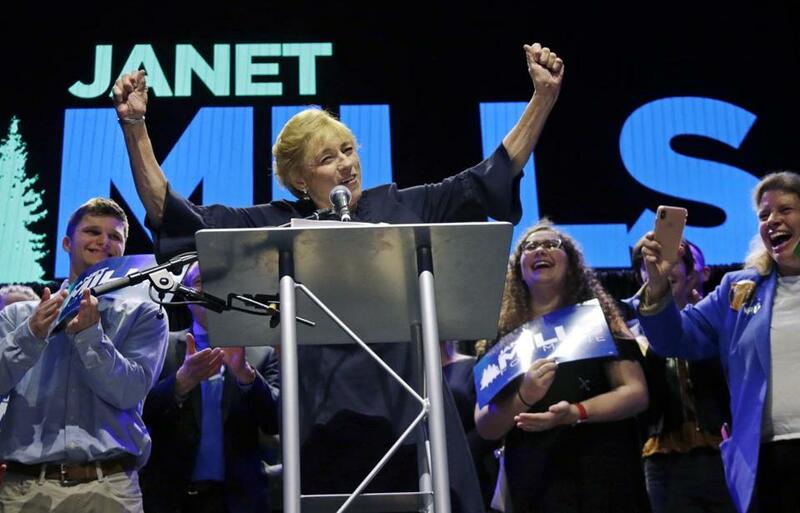 Governor-elect Janet Mills said other recently elected Democrats largely agree with Mills on improving health care and education, as well as addressing climate change and expanding access to broadband. But Maine stands out for the complete control that one party has in the State House. In neighboring New Hampshire, Democrats picked up the state Senate and House, but Republican Chris Sununu won reelection. “When you flip one legislative chamber, much less what Maine did, that may actually have more impact than what happens at the national level given the everyday policy issues, upcoming redistricting plans, and even in terms of creating a political farm team for the party that wins,” said Donald Brand, a political science professor at the College of the Holy Cross.